"I got up the next morning and realized I didn't have any pain in my knees*"
And then wake up the next morning – virtually pain-free? Making it hard to believe those nagging aches and twinges ever existed. You feel like an entirely new person from the day before. It’s now possible to get pain-free knees and hips – overnight. You could spend the weekends crawling around on the floor, playing with your grandkids for hours on end… making treasured memories you’ve missed out on before. Or you can just bend, twist and move those hips around like you did 10, 15 – even 20 years ago… when aches and pains never even crossed your mind. No stiffness, no creaks or no pangs – just perfectly smooth and comfortable hips and knees. It’ll feel like your overworked joints have been brought back to life – a complete resurrection. Waking up pain-free isn’t some unrealistic dream. And Americans – just like Sam – are seeing STUNNING results. In fact, this breakthrough has been scientifically proven to be 240% more powerful then leading joint treatments. Be prepared to learn how this breakthrough will give you DOUBLE the relief compared to run of the mill joint remedies. Starting as early as tomorrow morning. And lasting next week… next month… HECK, you could even feel pain-free next year. Just think about all the different things you can do with your “new” knees and hips. And wake up tomorrow – with “brand new” knees and hips. Do you want to hear all the details? If so, stick with me for just a minute… because I’ll reveal everything. Well, I’m Allison Davis – a longtime colleague of Dr. Mark Stengler. Dr. Stengler is regarded by his medical peers as one of the most accomplished – and sought –after doctors practicing today. 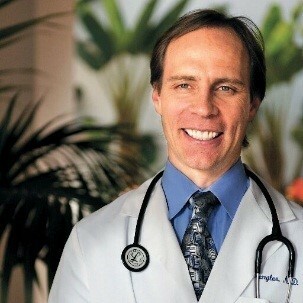 He’s appeared as a medical expert on FOX, CBS, NBC, the 700 Club, and hosts his own weekly PBS TV show. He’s written 17 books that have now sold over one million copies worldwide. Relieving joint pain and discomfort. And wake up the VERY next day… to pain-free hips and knees. They’ve been verified by multiple randomized, double blind, placebo-controlled trials – the gold standard of scientific studies. Because it covers everything your aching knees and hips NEED to stay pain-free for life. So, tomorrow morning you could be waking up a new person. That stubborn, relentless pain – vanishing. And Dr. Stengler’s first step to resurrecting sore knees and hips – starts with an odd, yet miraculous nutrient that pumps new life into your aching, overworked joints. The miracle nutrient is called Type-II Collagen, and believe it or not... it comes from raw chicken! Am I crazy? Let me assure you, we’re talking about a natural molecule extracted from chicken cartilage. It’s cleansed at the molecular level and triple-tested for purity. You know how important collagen and cartilage are to your joints? It’s why so many people swallow huge glucosamine pills—to help support cartilage and collagen production. Their collagen molecules have been cooked at high temperatures. That makes them last longer on the shelf—but it also de-natures the collagen molecules. That means they change into a form the body doesn’t recognize and can’t use in the right way. See, scientists in California recently discovered a new method to cleanse and purify collagen molecules. And their method keeps temperatures below 104 degrees Fahrenheit. That keeps the molecules in their original, natural form, so your body can recognize and use them. It’s known as un-denatured collagen type II. To say it’s a major breakthrough for joint health would be the understatement of the decade! Yet it hasn’t even made the evening news yet. Once undenatured collagen type II was purified through the low temp process, it was put to the test in clinical trials. And the manufacturers conducting the trials didn’t mess around—they conducted one of the most thorough, well-designed studies Dr. Stengler has ever seen. Half got one tiny 40 mg dose of Type II collagen each day for 90 days, and the other half got a whopping 2700 mg dose of glucosamine and chondroitin. The kind of real-world stuff that impacts your life. And when they got the results and crunched all the numbers, you can bet—jaws hit the floor. Not only was UC-II vastly more effective than the collagen supplement – it delivered a full 240% more relief than glucosamine and chondroitin! The numbers for the UC-II group when it came to comfort and flexibility were off the charts. And in another test that measured how long patients could exercise before they started to feel pain, several members of the test group went the whole length of the test with NO PAIN AT ALL by the end of the study! My friend, that’s simply unheard of for a natural supplement. Once he saw these results, Dr. Stengler knew how much this could help his patients. So he started adding UC-II to a few of his other proven joint-relief nutrients, and prescribing the combo to a few of his most in-need patients. Well believe me when I tell you – their results surpassed the clinical trial—and even Dr. Stengler’s wildest expectations! The results start coming quickly and the difference is night and day. That’s what the “joint resurrection breakthrough” is all about! It starts with a daily 40 mg dose of undenatured type II collagen—just like they used in the clinical trials. And step 2 is a BIG one. Here’s the deal—we all know that overworked joints get sore and painful. And we all know inflammation can contribute to that. Most of us think ALL inflammation is bad—that to get real comfort, we need to end ALL inflammation—and that’s simply not true. Inflammation is a normal biological process. You NEED it to repair and rebuild damaged tissues. In fact, you couldn’t LIVE without it! The key is to keep a HEALTHY BALANCE of inflammation—especially in your joints. As long as the inflammation levels stay normal and healthy—you feel great! The 1st is called curcumin—the main ingredient in the spice turmeric. Yet it’s in your joints that this spice truly shines. It has an unmatched ability to maintain that normal, healthy inflammation response—which you know is one of the best things you can do for day-to-day joint comfort. 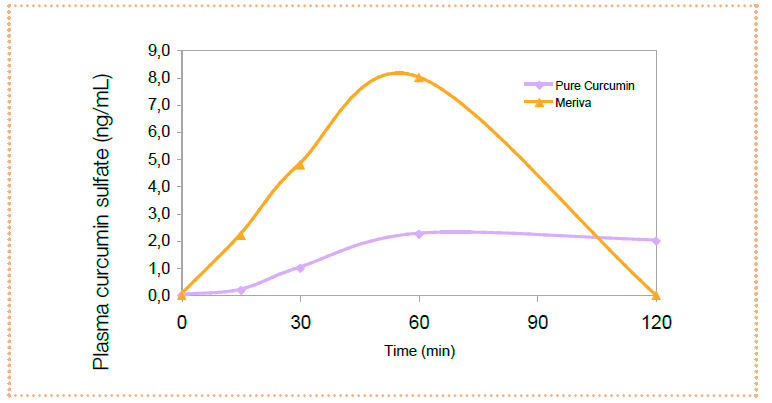 All curcumin formulations are NOT created equal. FACT: A lot of the hype about this nutrient comes from “in-vitro” or test tube studies. That may make for a good sales pitch. But you’re not a test tube. And test tube results don’t always translate into results YOU can see and feel. That’s because regular curcumin just isn’t absorbed very well in your body. A small research team in Italy recently devised a technique for “encapsulating” individual curcumin molecules inside a phospholipid membrane. That sounds fancy, but it’s really just a type of healthy fat. And since phospholipids are very well absorbed, they carry the curcumin molecules straight into your bloodstream where you want them. See, the increased absorption gives enough time for the curcumin molecules to circulate throughout your body and reach deep into your joints. That’s where they really go to work—acting on inflammatory enzymes COX-2 and NFPk-b. They help make sure your inflammation levels stay nice and healthy. To you, it might feel like someone put out the fire in your joints! And you don’t need a huge dose, either. Clinical trials, used as much as two 500 mg doses daily, but Dr. Stengler believes 225 mg per day to be plenty when combined with the other ingredients. Now there’s one other main source of inflammation—and it’s one many supplements FAIL to tackle. And that’s the free radicals we generate when we exercise or simply move around. These rogue molecules cause oxidative stress, which is a fancy way of saying they cause more inflammation. That’s why Dr. Stengler always uses a blend of three antioxidant extracts: grape seed extract, pomegranate extract, and ginger root powder. These are highly potent antioxidants that can help squelch free radicals, and 50 mg of each will do the trick. You can find them in powdered form from certain health food stores. So just to recap, that’s 40 mg per day of Undenatured Type II collagen, 225 mg once a day of Meriva Curcumin, and 50 mg each of grape seed extract, pomegranate extract, and ginger root. Now, there is exactly 1 more step to the joint resurrection protocol—and it’s all about something I’m sure you’re familiar with: Joint PAIN. The solution Dr. Stengler discovered is brilliant. What if you could simply take 1 supplement—just 3 small capsules each day, and know you were getting everything you need? That’s why Dr. Stengler created Joint Performance Plus. Inside this bottle is the entire joint resurrection protocol. All the correct forms of the proper ingredients... already precisely measured, clinically compounded, encapsulated, and bottled for your convenience! In just a second, you’ll see from a few Joint Performance Plus users—I think you’ll really appreciate their honest feedback. And I promise you this: if you read the rest of this report and follow the instructions to the letter... that exciting new world can open up for you, too. You really can stay in control of your aging process and your life. You can have the freedom to move, to stay active and to live your life. “More freedom and less pain”—that’s one of the recurring themes we hear from Joint Performance Plus users every day! *Results may vary. 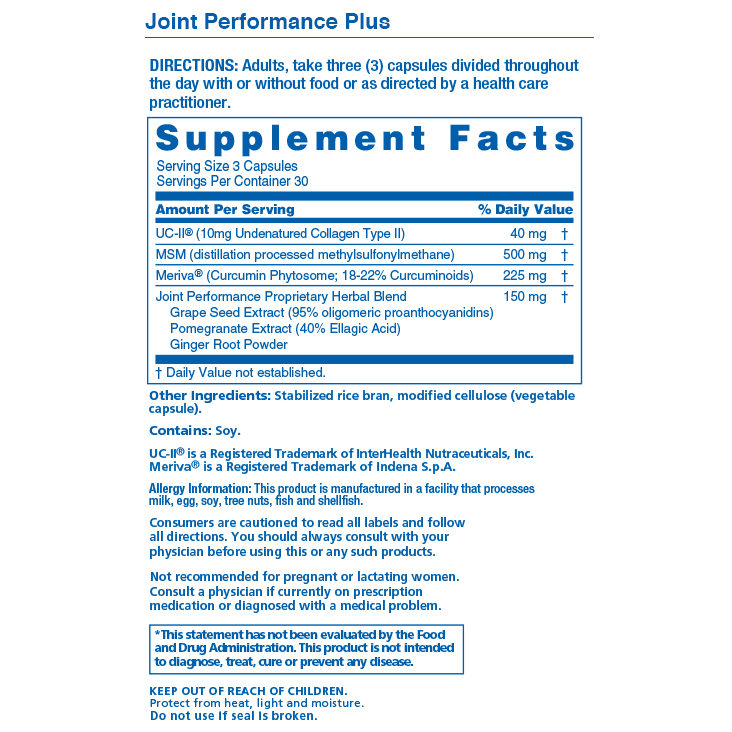 Joint Performance Plus is designed to support overall joint support. And that barely scratches the surface! Our stack of glowing feedback amounts to a 47-page single-spaced typed document! 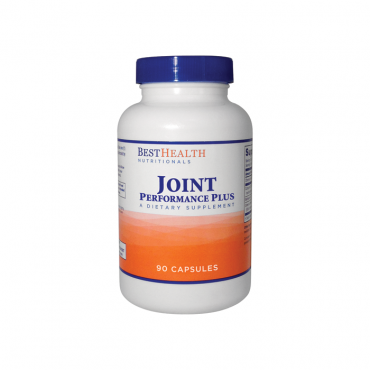 That’s the power of the joint resurrection protocol—the power you get in each capsule of Joint Performance Plus. Now I promised to give you the exact details of the protocol, and I don’t want to disappoint. Because you DEFINTELY don’t want to skip step 3. STEP 3: Squash the PAIN! But you’re probably thinking—oh, I’ve tried everything for joint pain. And that may be true—but please hear me out. Because Dr. Stengler has been getting AMAZING results using a special type of organic sulfur-based compound. Its scientific name is methylsulfonylmethane. Better known as MSM. Now, maybe you’ve tried MSM—but the devil’s in the details. First of all, you have to take ENOUGH to affect your joints. 500 mg spread out over the day is the amount Dr. Stengler recommends. But more importantly, you need the right form of MSM. One that’s potent enough to make a real difference. That’s why Dr. Stengler ONLY uses distillation-processed MSM—not crystallization-processed. Crystallization processing is cheaper and easier way to extract MSM, but it can leave impurities in the final product, and it results in a lower potency. So check the labels carefully for this important difference. Distillation processed MSM will almost always SAY “distillation-processed” on the label, while crystallization-processed MSM may just say “MSM”—without specifying HOW it was processed. Here’s a close-up picture of the Joint Performance Plus label so you can see what I mean. You may find this superior form of MSM at certain high-end health food stores. Still – why go to all that trouble, when it’s so easy to get everything you need RIGHT HERE? With Joint Performance Plus, you’ve got the exact protocol Dr. Stengler recommends. Can you sense the excitement in these messages? Can you feel the joy and gratitude in the words? These are real people just like you, and you can almost see how much their lives are improving! And you know what you’ll love? Being able to try Joint Performance Plus with complete confidence. If, at any time, for any reason whatsoever, you feel like Joint Performance Plus is no longer working for you... if you don’t get the kind of life-changing results you’ve read about here today... you get back every penny of the purchase price. And there’s no time limit on this Guarantee—whether it’s 3 months from now, or 3 years down the road, you can always return your most recent order for a prompt and courteous refund. That’s why Dr. Stengler calls it his “Anytime” Guarantee! No questions asked. No hassles. Just send your current bottle back (even if it’s empty) and you get a full refund applied instantly to your credit card. Some of our colleagues think we’re nuts to offer such a free and open money back promise. They think we’ll lose money, or even get ripped off. So here’s what to do next: click the Add to Cart button to access your secure encrypted order page. You’ll have the option to select either 1, 3, or 6 bottles. Each bottle lasts one month. But whichever quantity you choose, be sure you select our FREE auto-delivery service. That means when your initial order is about to run out, we’ll ship out a fresh supply, charged to the credit card you use today at the same price. You’ll never pay for shipping with this FREE auto-delivery service. Of course, you can cancel this service anytime, for any reason with a quick phone call. No questions asked. Our customers really LOVE auto-delivery service, though. Because once they get started on their joint resurrection breakthrough, once they feel the new life rush in to their knees and hips... once they start doing the things they enjoy most without hurting... they don’t have to even think about re-ordering. Now, many of them were skeptical at first. And I can’t blame them. But they heard about the incredible results Dr. Stengler’s patients get with his joint resurrection protocol. They learned about the clinically researched breakthroughs that set Joint Performance Plus apart from everything else they’ve tried. And they made the smart choice to try Joint Performance Plus. In other words, they LIVE! Independently, and on their own terms. My friend, that’s exactly what I want for you. And don’t you deserve it? Don’t you deserve to fully enjoy this time in your life – the time you’ve worked so hard for? Of course you do! So please, don’t wait any longer. Because the way I see it, you have two choices right now. You can close this page and do nothing. You can hope that the same old pills and supplements that have failed you in the past will magically start working. You can hope that things will somehow get better on their own. Or you can take action NOW toward a better life. By reading this report all the way through, you’ve proven that you’re ready for something better. So what’s holding you back from making the choice? You don’t risk a penny of the purchase price. So please, don’t wait any longer. Click the Add to Cart button to access the secure order form. You can review all the details before actually placing your order. Click the Add to Cart button to get started! "After reading the ingredients and the science behind Joint Performance Plus, I decided to give it a try. I noticed a difference after about a week. It has allowed me more freedom to keep at the things I love such as running and jumping. I’m sharing my good fortune with other people that I know that have the same aliment by telling them what this product has done for me. Keep up the good work." "Joint Performance Plus started working for me after about a month. Now I don’t have to suffer sitting through baseball games. It’s nice not to feel this level of comfort, and because of this I have recommended it to many of my friends." "I decided to try Joint Performance Plus because I’d tried other things that didn’t work for me. After about a week, I began to notice that I was moving easier and without as much pain as I had been experiencing before. After taking JPP for several months, I’m still experiencing more freedom of movement and less pain. I’ve recommended this product to several people. I’m so glad I found this product! Please thank Dr. Stengler for developing it." "I decided to try Joint Performance Plus for the discomfort in my hips, and it absolutely provided the support I needed. I noticed a difference after about a week, and if I don’t take it for a couple of days, I miss it. Now, I can be active without worrying about my hips hurting. It has made a world of difference in my activity level. Joint Performance Plus is worth every penny. I’ve recommended it to several of my friends. I depend on it." "I just returned from an eleven day cruise to the Caribbean and must say that I walked quite a bit while on board ship and off, and my joints held up really well. I believe your "Joint Performance Plus" is doing its job. I only started taking it about a month ago, and I can already tell a difference. At the age of eighty-three I'm happy to be doing as well as I am (joint-wise). Thanks again for Joint Performance Plus. I will continue using it."